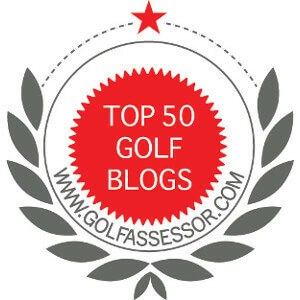 Freely Sharing All Things Golf! Focused practice is nothing new at The Grateful Golfer blog. This extremely important topic has cropped up and never seems to lose its importance or relevancy to playing great golf. As I think of the many tips on this topic, I started to wonder if these perils of wisdom actually help the average player. I am strong believer in the 3-6-9 drill for putting and chipping. I believe they offer the biggest return on your most precious investment: time. This and other drills will make us a better player and lower your golf scores, if we practice. However, after some thought, there is one aspect of focused putting that seems to be overlooked by most amateurs and teachers. What if my chipping does not fall into any set distance so I can one-putt more often than not? This situation is a real issue for most amateurs, myself included. If you read the scrambling stats from the PGA Tour, you will find that the further the are from the pin, the lower their scrambling percentage – however, we are not surprised at this information. The professionals provided a benchmark goal, but their stats are not really useful for most amateurs. Again, back to my original question about distance from the pin best suited for a one-putt. The obvious answer is within inches, yet this happens very rarely. If you always chip within 9 feet and practice the 3-6-9 drill, then you are off to the races. If not, now what? I noticed that most players practice putting and chipping separately. They diligently practice each skill with positive results. However, this segmented approach does not really replicate game conditions! This oversight can actually cause challenges to shooting low scores. I think (I use the word think because I will have to try out my theory) that I need to combine my chipping and putting practice together. Next time I am at the practice area, I am going to only use one ball to first chip, then putt. I will record the actual number of up-and-downs I shoot during a 5-minute practice period. I will not rush, but I think by combining the two critical skills, I will be better prepared when I hint the links. Have any of you used this type of approach to focused practice? If so, did it help? Am I missing something? I am a grateful golfer! See you on the links! This is magnificent practice advice to simulate playing conditions. I’m going to start doing this more often. It’s easy to fall into the temptation of chipping a bunch of balls from the same spot to get more reps in, but this doesn’t simulate what it’s like on the golf course. Anytime we can add pressure to our practice is a benefit. It will help with the physical and mental aspect of playing competition golf! Thanks for the tip! Hi Jim, as you know golf is a game of numbers, and putting is no different. Know the distance to the hole on the green. If you know the number when on the practice green, you can replicate the putt out on the course. Your point is well taken. I think some people go through the motions when practicing and don’t really focus on the numbers. I am with you because I pace off my distances. Jim, love your one-ball up and down approach to short game practice. It helps a lot to simulate game conditions. I prefer to go 9 holes and it does take considerably more than five minutes to play but is time well spent. Ever tried 2-ball / worse ball up and down? Take two chips and play two shots from each spot using the worst shot until the ball is holed. Puts extreme pressure on yourself to concentrate and helps to toughen you mentally for dealing with your mistakes. If par is two strokes on each hole, you are doing great if you can best 6 or 7-over in this game. I have not tried the two-ball worse game! What a great idea. I will try that when I finally get out to practice! Thanks. Went snow shoeing on the golf course today! This is the water station between the 12th and 13th hole. Notice the 3 feet of snow on the roof. Spring is still a ways away! I am a Grateful Golfer!